While the broad outlines of how climate change would impact Boston have been known for some time, it is only recently that we have developed a more definitive understanding of what lies ahead. 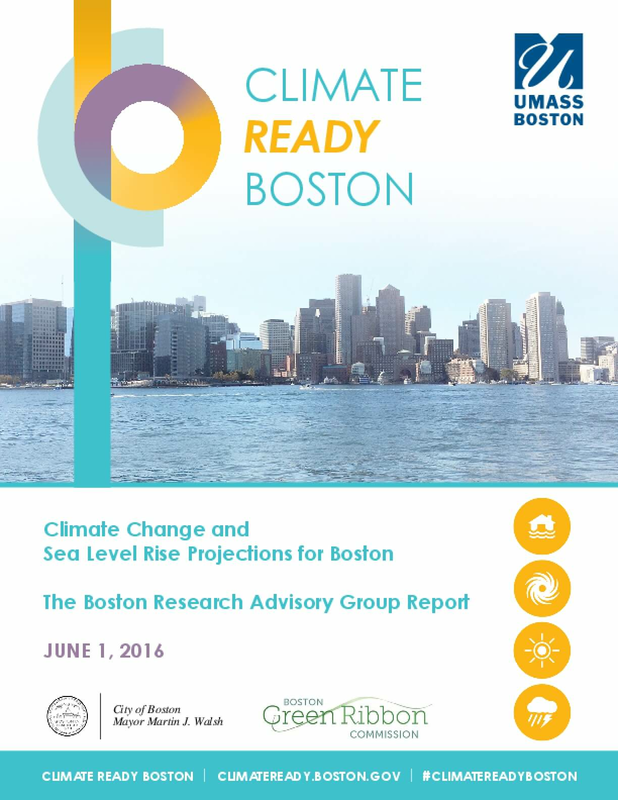 That understanding was advanced considerably with the publication of Climate Change and Sea Level Rise Projections for Boston by the Boston Research Advisory Group (BRAG).The BRAG report is the first major product of "Climate Ready Boston," a project led by the City of Boston in partnership with the Green Ribbon Commission and funded in part by the Barr Foundation. The BRAG team includes 20 leading experts from the region's major universities on subjects ranging from sea level rise to temperature extremes. University of Massachusetts Boston professors Ellen Douglas and Paul Kirshen headed the research.The BRAG report validates earlier studies, concluding Boston will get hotter, wetter, and saltier in the decades ahead (see figures below). But the group has produced a much more definitive set of projections than existed previously, especially for the problem of sea level rise. BRAG also concluded that some of the effects of climate change will come sooner than expected, accelerating the urgency of planning and action. Copyright 2016 by UMASS Boston. All rights reserved.